Welcome to Sun City Festival Buckeye Arizona! In 2006 Del Webb 55+ Active Adult Community Sun City Festival was up and running. 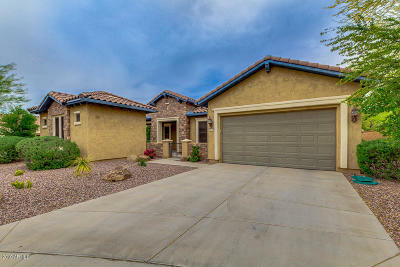 Located 14 miles west of Sun City Grand Surprise Arizona on Bell Road this beautiful community is the newest of the Sun Cities in the Phoenix Northwest Valley. Festival features a model home center with 14 model homes to offer ranging in size from 1,099 to 2849 sq. ft. The views are spectacular as Del Webb Sun City Festival Buckeye Arizona is nestled at the foothills of the White Tank mountains and views of the Estrella Mountains. Evening Sunsets and views are breathtaking! Amenities available at Sun City Festival include a state-of-the-art fitness center and aerobics facility, tennis courts, horseshoe pits, combination lap and resort style pool and spa, wellness center, 18-hole championship golf course, massage rooms, cultural hall exhibition kitchen, computer lab, arts and crafts, outdoor amphitheater, bocce ball courts, pickleball courts, basketball court and two restaurants. Copper Canyon Golf Course is the home course for residents of Sun City Festival. This beautiful 18 hole public course is managed by Troon Golf and as a resident you will receive discounted rates and preferred tee times. You can choose from daily rates, flex pass or annual pass options. The 31,000 sq. ft. Sage Center is the place to be with a large resort style pool, state of the art fitness center and the ASU lifelong learning academy. The resort style pool has a beach entry, resistance wave area , lap lanes and hot tub for your enjoyment. Other sporting amenities include Tennis, Softball, Pickelball, Bocce, Lawn Bowling, Basketball and Volleyball just to mention a few activities available to Sun City Festival residents. This fine community also features many clubs and organizations, Wood Crafting, Quilting, Lady Putters, Ceramics, Travel, Dance, Hiking, Fine Arts, Glass Arts, Photography and card club just to mention a few. Sun City Festival also has future plans for 2 more recreation centers and one more Troon managed public golf course. At final build out there will be 7200 home sites with approximately 1400 homes completed at this time. Under construction on the west side of Sun City Festival you will find a building that will house the Arts/Crafts facility and Woodworking shop with state of the art equipment. 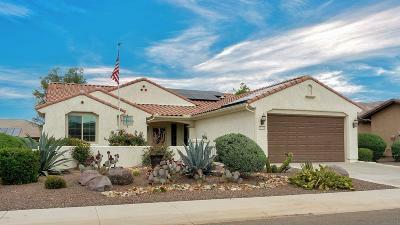 During the build out of Sun City Festival this fine community offers 3 day packages, in the villas for you to stay and play to learn what Sun City Festival Buckeye Arizona is all about. 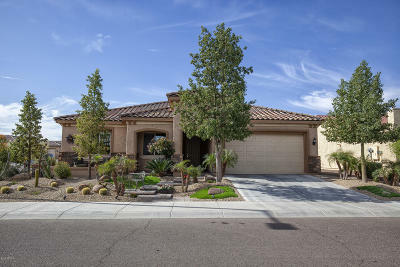 Whether you are interested in new build or pre-owned homes in Sun City Festival, both are available to you as you step into this lifestyle at Sun City Festival, Del Webb Active Adult Golf Community. Sun City Festival Active Adult Community requires at least one resident in each household to be 55 years of age or older and no one under 19 years of age can be a permanent resident.